Jnanarakshita from the Triratna Development Team writes with news of an event for anyone currently working in print or web design within the Triratna Buddhist Community. It's a very rare opportunity to gain from Dhammarati's considerable experience in visual communication. 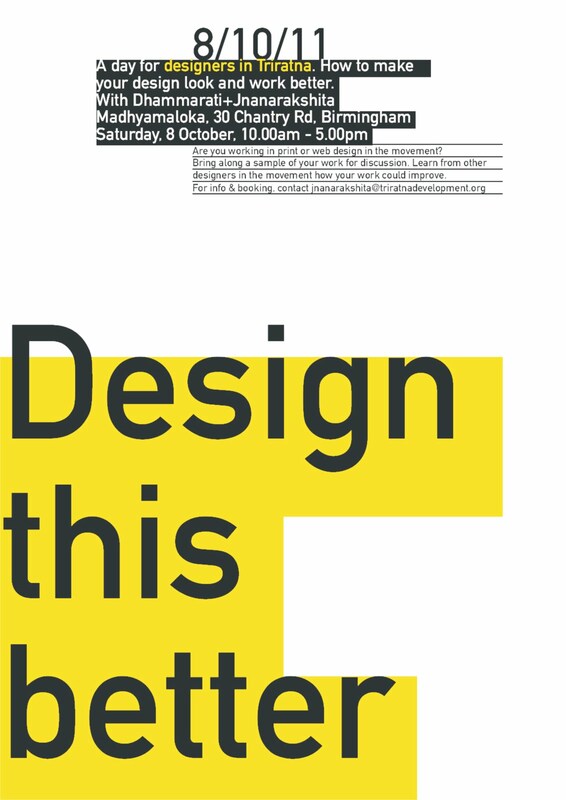 A day exploring how to make your design look and work better. Bring along a sample of your work for discussion. Learn from other designers in the movement how your work could improve.